Soaking up the sunshine, taking a walk on a warm evening, and going for a splash in the swimming pool are all activities that make summertime enjoyable. Luckily, there’s no age limit for enjoying the season! Read on to discover some of the best senior friendly activities for the elderly to take in all that summer has to offer. The mix of seasonal rain and sunshine are the perfect combination for migrating birds. From cardinals and blue jays to hummingbirds and woodpeckers, summer is one of the best times for bird watching. This pastime can be done just as easily sitting on a porch or from the inside of an air conditioned home, as it can be done while going for a stroll on a nature trail, which makes it a fantastic activity for seniors. Summer can get pretty hot, which means being outside isn’t always a good idea. Luckily, most towns and cities have aquariums, art museums, science museums, or even local history museums for seniors to visit. Many offer a discount and even special tours. Hey, it’s summer, after all! Might as well go for a dip in the pool. Swimming is great exercise because it is a no impact activity. It will also help keep the senior’s body temperature down while getting their heart rate up. Of course, seniors should never swim alone, so always be sure a lifeguard is on duty. Another great idea is to take a water aerobics class at the local YMCA or swim club. Many people don’t think of gardening as a physical activity, but it requires a lot of movement and burns calories. It is not strenuous and can be a fun way for a senior to get outside. If you don’t have your own backyard or gardening space, a community garden is a great place to share your green thumb. Many seniors are still very capable of helping out in their local community. Whether helping out at a summer camp or local animal shelter, volunteering is a great summer activity for a senior citizen to get out for a few hours a week. Summer is a great time for reading! Whether outside in the backyard or in the cool air conditioning, soaking in a novel is a great way to spend the afternoon. A book club is a fun way to make friends and discuss the book. If there isn’t a book club in your area, start one! Whether first thing in the morning or in the evening as the sun sets, getting out and taking a walk is a fun way to see the neighborhood and get some exercise. Be sure the weather isn’t too hot and stay hydrated! From Bingo to Charades or Bridge, hosting a game night is one way to get together with friends and have something to look forward to each week. 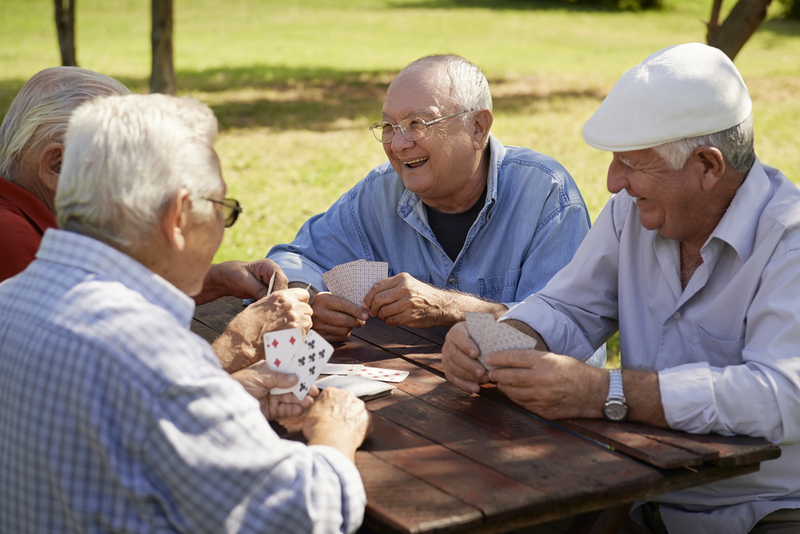 These easy, but fun games are often senior favorites and make for a great way to spend an evening. Homemade ice cream is a real treat and, surprisingly, it doesn’t require a lot of work. Even better, if a senior is on a special diet, the recipe can be tweaked to add less sugar, almond milk instead of regular milk, fresh seasonal berries, etc. Check online for some recipes. While birdwatching or on an evening stroll, bring a camera along. Even if it’s a brand new activity, anyone can snap a photo. After all, summer is full of beautiful sights from children playing to gorgeous flowers in bloom. If you are an Assisted Living Facility or Home Care Agency with fun activities for senior patients and would like to reach prospective patients and their families faster, consider using SSMPAS.com to advertise. We look forward to helping you grow your business!